This article analyzes the causes of California’s current foreclosure crisis, dissects the toxic results of negative equity on the real estate market and proposes local and federal action to remedy widespread insolvency. Although the Great Recession is officially over, California continues to groan beneath the recessionary weight of a devastating profusion of households displaced by foreclosure. The Golden State is ranked fourth in the nation for the percentage of mortgages considered seriously delinquent (90 or more days late). More critically, over 25% of single family residence (SFR) homes in California are plagued by illiquidity, meaning the owner cannot be cashed out. Illiquidity is the direct result of a negative equity and, with the passage of time, leads to insolvency. With little hope of any relief from negative equity by price increases or principal reductions in this decade, the effects of foreclosures will continue to decimate the real estate market as an untreated plague. Even positive equity homes will decrease in value — a crippling symptom of their proximity to delinquent neighbors. The statewide devastation is solely the product of over-indulgent lending practices during the Millennium Boom. As home prices climbed from 2002 to 2006, lenders indulged their borrowers’ thirst for instant gratification in the form of adjustable rate mortgages (ARMs). They doled out mortgages to homeowners who had no realistic ability to meet their impending graduated payments — resets — on loans secured by collateral and appraised as having increased value. These irresponsible mortgage transactions became the financial accelerator dynamic that inevitably lead to the collapse of real estate prices. During this lush period of hot money and steaming prices, most borrowers had no problem refinancing well before their ARM payments reset to higher amounts, and lenders provided that liquidity loophole to minimize delinquencies. These excessive lending practices screeched to a halt when the Great Recession swept across California in 2007 and 2008. Homeowners were left unemployed or otherwise unable to meet reset payments. Lenders feigned ignorance of their hand in the fallout of increased real estate owned (REO) inventory, negative equity homeowner imprisonment and widespread insolvency among everyone involved in real estate. 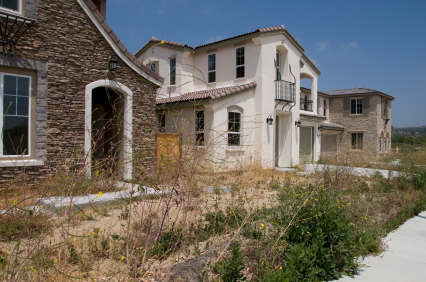 The effects have been both direct and indirect, involving all California property owners on some level and crippling California’s economic recovery for years to come. MLS brokers must now focus their efforts on helping those million homeowners who have or will soon face foreclosure. Multiple listing service (MLS) brokers must now focus their efforts on helping those million homeowners who have or will soon face foreclosure. 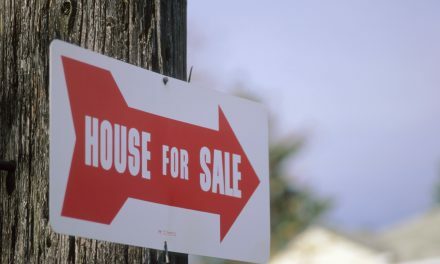 Most will be unwilling (if not unable) to re-enter the homeownership market for years after their negative experience. With resulting low credit scores, the households displaced by foreclosures will find friendly respite in renting, which can provide them with commodious homes for lower monthly payments than their previous mortgage lenders permitted. California’s Central Valley and Inland Empire, comprised primarily of the state’s least expensive housing, have the highest densities of foreclosures in the state — roughly 15% of all housing units in those regions. Located outside of the Bay Area and Los Angeles, these commuter bedroom towns have experienced heavy growth in new SFR construction in the past decade, as homebuyers seized opportunities to finance their dream homes with subprime or Alt-A ARMs and raise their children in suburban communities beyond the border of their urban workplace. Consequently, the majority of the mortgages for Central Valley and Inland Empire homes in foreclosure were originated during this time of loose lending, between 2002 and 2007. The greatest number of total foreclosures occurred in the major cities of California. 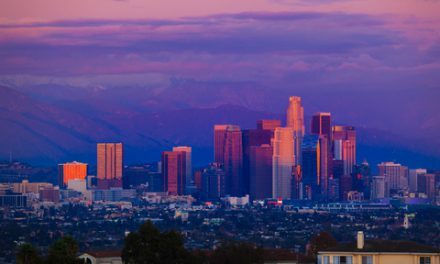 The impact in sheer numbers has been most severe in Los Angeles (nearly one quarter of the state’s population), with 206,048 foreclosures from 2006 to 2009. While exurban communities are experiencing a heavier concentration of foreclosures as a proportion of all housing units, the total impact of foreclosures in large cities is more widespread. Since housing units in urban areas are more densely concentrated than in their exurban counterparts, the closer proximity of foreclosed properties to non-distressed properties in these urban areas has a more pronounced negative effect on the non-distressed properties’ values. 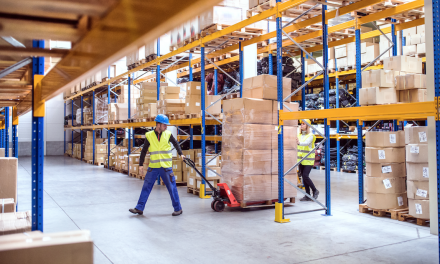 Moving on: what’s your local turnover rate? Mae, we have a modular on foundation on our property. We had no problem getting financing through the last 20 years. We even got a 30 yr conv. loan no problem thru Countrywide, who was considered to be the strictest lender, and went on to get an equity loan from them on top of the 1st mtg. During the “boom” things tighened up when we wanted to refi to consolidate the loans. The only lender, unfortunately, was Chase who were funding these types of homes. We have been holding on to our home due to disability but not much longer as it took 2 1/2 yrs to get a modification done as my husband got hurt at work and is on disability (because of the games they play) at a fraction of his income. The promises made during the modification paper shuffle gave us false hope they were really trying to help. We have received 2 more modification offers with no details included. We won’t be suckered again. The “modification” lowered our payments by $100 some of which was my changing the house insurance deductible to lower it (we have impounds on this loan). The only thing that will keep us in our house is a principal reduction to the value of the house which would put us in the correct DTI ratio which the modification didn’t do. It is way over 50% front end even with the 2% “initial” interest rate. Can’t believe they are cutting their own throats by not giving in to principal reductions. If not that why not lease with option to buy with new values and loans to owners? The suggestion of renting to tenant is terrible. They can then throw you out in 3 months at the most. The greed of the people at the top is just plain gross. Seems to be a pyramid scheme to me. I thought those were illegal????? Anyway, I don’t think there is any help for us at the bottom of the triangle Mae. Unless you can save enough by the time you get foreclosed on, purchase another piece of property in forclosure and put a temp. trailer on it, then save again until you can put a modular on it. At least that way it will be yours and the greeds won’t be able to take it away. My question is, if the reasoning behind not being able to do principal reductions is because all the loans were mixed together and then split up and sold how can the lender do individual modifications let alone foreclosures on each property?? Too many lies and excuses from greedy people who hide behind “a corporation”. Best of luck to all who are lucky enough NOT to be a greed. I’m sure their time will come. I made payments for 5 1/2 years on an 7 -year fixed adjustable, only to find out no one will give me a fixed rate loan today because the property has two home on it, one being a modular on a fixed foundation. The lenders won’t loan because Fannie Mae and Freddie Mac decided not to guarantee loans on modular homes. What’s a person to do like me except to let the property foreclose. It’s a horrible loss, but, I will never have one penny go toward my principal with the present loan and interest are going up and the interest rate will readjust at the end of the 7-year person. No lender will give a new borrower a loan because of the same reason and no one is going to pay cash for such an expensive piece of property. Lender will not reduce my principal which would be required, and reduce the interest rate, to make any sense to keep the loan going as it is. Any help out there? I’m curious about employment as an agent. Is it going to be worth investing in becoming an agent? brought this forward in a clear easy to understand format. Great Article. When all this was happening, I questioned and asked many of my friends and even distant family members how they could logically go with such sub-prime loans. The consensus was, if could own a home wouldn’t you jump on it? I instantly thought “no” because the ARMs people were jumping on didn’t make sense, but said, “Yes, I guess.” But in the end, its the greed of the people in the lending industry at the time that got us into our current situation. Starting from the top to the bottom cold-callers that made promises of “home-ownership” and pushed the loans. Anyone with half a brain knew the market would collapse with subprime loans, it was just a matter of time. Unfortunately congress lacks common sense and believed the BS that lenders were racist and not lending in poor areas. The solution- loosen lending standards, just brilliant. I don’t have to read the 500 page study that determined the cause of the subprime loan debacle and probably cost millions, just ask anyone in the lending business. Excellent article on the overall foreclosure status. It touched on most of the exact reasons that got our country in this foreclosure mess. The only thing that I might add is the culpability of Congress, along with their surrogate agents Fannie and Freddie. It started at the very top and cascaded on down the line with those wanting to cash in on the housing boom – before it inevitably went bust.